Harrisburg, PA – After extensive review, the Pennsylvania Department of Environmental Protection (DEP) has approved the permit applications from Sunoco Pipeline LP (Sunoco) for the PA Pipeline Project/Mariner East 2 pipeline project. DEP considered 17 Chp. 105 (Water Obstruction and Encroachment) permits and 3 Chp. 102 (Erosion and Sediment Control) permits for the project. The pipeline would transport natural gas liquids from southwest counties to Marcus Hook, in southeast Pennsylvania. The project required a Chp. 105 permit for each of the 17 counties it crosses, as well as one Chp. 102 permit for each DEP region the project crosses (the Southwest region, the South Central region, and the Southeast region). “The intensive review included input and feedback from scores of DEP biologists, wetland ecologists, engineers, legal staff, and permit reviewers. Further conditions were put on the operator as we move forward to ensure accountability to state standards,” explained McDonnell. Part of the review process included revisions to the original permit applications submitted by Sunoco. These revisions were received in December 2016, in response to technical deficiency letters sent by DEP in September 2016. The final approvals include conditions in both the Chp. 102 and Chp 105 permits to establish environmental protections specific to this project. DEP did not hold an additional public comment period or hold additional hearings because the revisions Sunoco made to the applications did not substantively change right-of-ways nor the corridor of the permits. Previously submitted comments were still applicable. DEP’s obligation is to ensure that installation of infrastructure like pipelines is in accordance with the relevant regulations, and that concerns raised by commentators were addressed within the scope of those regulations. “This is not the end of the process, as DEP, working in conjunction with the Public Utility Commission, will continue to hold the project accountable to regulatory standards that protect the environment and ensure the health, public safety, and welfare of local communities,” said McDonnell. 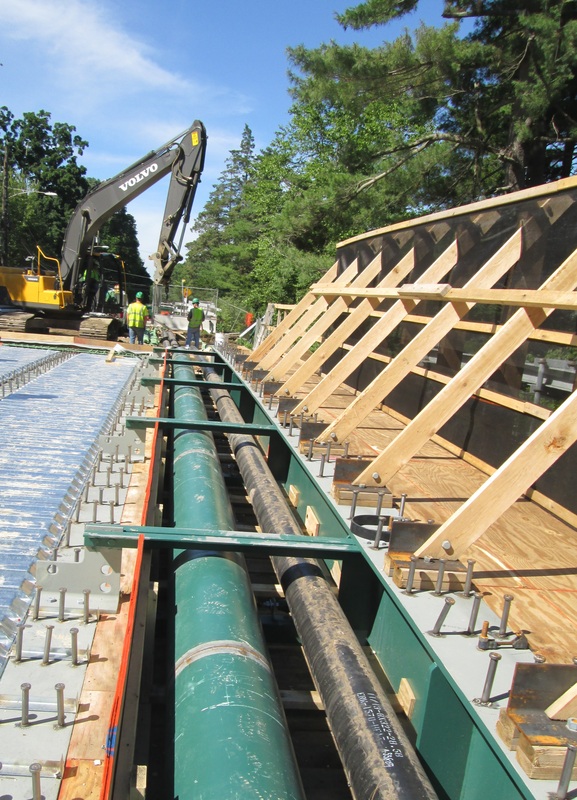 More information on the Mariner East 2 pipeline project can be found here. National Lighting Bureau: Disturbed sleep patterns are common among the residents of senior-care facilities, due to the aging process and diseases like Alzheimer’s. Could lighting make a difference? That’s the question that the Sacramento Municipal Utility District (SMUD); the ACC Care Center, also in Sacramento; and the U.S. Department of Energy (DOE) decided to answer, at least on a preliminary basis, by replacing some of the Care Center’s fluorescent lighting in one corridor, two resident rooms (including bathrooms), the nurse station, the common family room, and the administrator’s office. Applying guidelines developed by the Lighting Research Center of Rensselaer Polytechnic Institute, researchers used controls to create light whose lumen output and spectral composition were likely to suppress melatonin production from morning to midday, but less likely to suppress melatonin production in the evening and at night. according to ACC staff, residents whose rooms were located elsewhere were now “hanging out” in the LED-illuminated corridor. The U.S. Department of Energy (DOE) report about this project – Tuning the Light in Senior Care: Evaluating a Trial LED Lighting System at the ACC Care Center in Sacramento, CA – is available free of charge from the National Lighting Bureau. Obtain more information about the Bureau by visiting its website (www.nlb.org) or by contacting its staff at info@nlb.org or 301/587-9572. 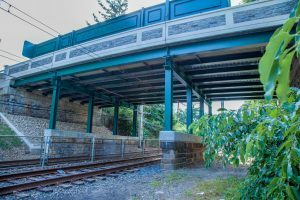 Abstract: The project involved the reconstruction of a unique, three-span, shallow depth, steel stringer bridge in the Chestnut Hill West Section of Philadelphia. The structure had reached the end of its useful life, having already undergone two emergency repair projects. Innovative reconstruction concepts were advanced to satisfy historic preservation criteria and to restore the structure’s place in the neighborhood. The original Willow Grove Avenue Bridge over Southeastern Pennsylvania Transportation Authority (SEPTA) tracks was a three-span, simply supported, shallow depth, steel stringer bridge with asphalt deck, as rehabilitated in 1962, with stone masonry abutments and wing walls that dated to 1884. The original double iron channel and timber superstructure was built by the Edge Moor Bridge Works for the Pennsylvania Railroad and designed for a live load of horse and carriage. 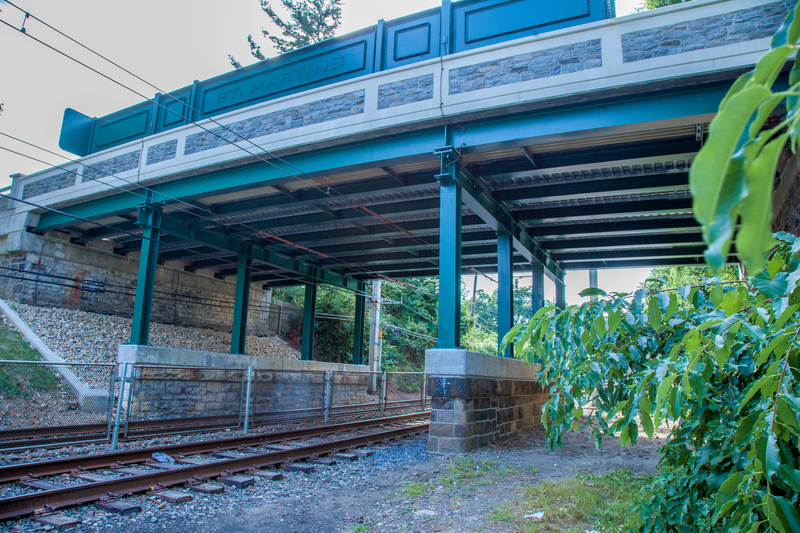 Built during the industrial revolution, the structure was built to provide grade separation for a street crossing in a very affluent, new neighborhood in Philadelphia – a suburban setting to house railroad and industrialist corporate executives and their families. The original and existing bridges featured materials appropriate for the area – timber, metal, and Wissahickon Schist stone. Though decidedly inelegant, the first and second bridges provided a practical solution to challenging design features– a short hump crest vertical curve nestled between two driveways and incorporated into the site design and functionality of a commuter railroad train station. Originally spanning over two mainline tracks and a siding for an ice house, the current bridge spans over two electrified tracks between the piers. 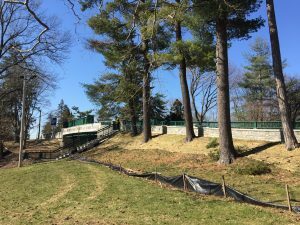 The bridge is contained within the Chestnut Hill Historic District, but is not a contributing element, nor is it individually eligible for listing in the National Register of Historic Places. 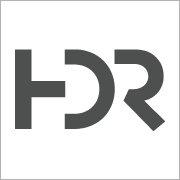 The National Historic Preservation Act (NHPA) Section 106 review for the project resulted in a No Adverse Effect finding for the Chestnut Hill Historic District. Severely corroded steel, including the pier steel bent frames. Seized and malfunctioning bearings and expansion dams. Abutment and wingwall stonework in need of repointing and/or rebuilding. Moderate spalling of the drivable asphalt deck surfaces. 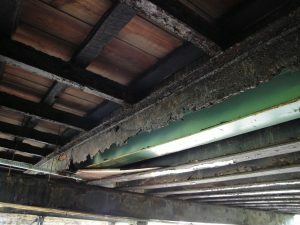 Failure of the superstructure steel coating system. Moderate deterioration of the non-composite deck stay-in-place forms. 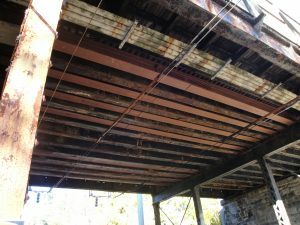 Due to severe steel deterioration under the sidewalk bays, elevated wood boardwalks were furnished and installed temporarily by the City’s Bridge Maintenance Unit in 2006 to bridge over weakened areas and to provide safe passage of pedestrians. Concrete median barriers were also installed at the curb lines to keep vehicles off the sidewalk. Figure 1 depicts these changes. Additionally, a truck detour was instituted around the bridge to remain in effect until full reconstruction could take place. In 2013, the condition and section loss of the stringers, as shown in Figure 2, became so significant that another emergency repair was done. 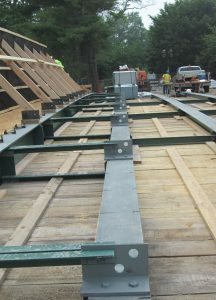 Additional adjacent “buddy beams” were furnished and installed by Buckley Construction Company to strengthen the weakened stringers. This system is shown in Figure 3. This would allow the bridge to remain in service for one more winter season without closure and impact to the commuter rail traffic below. At this point, the structure became the primary design priority for the City’s design unit. Due to deterioration and/or section loss of up to 100% in some places, permanent bridge closure was imminent. The bridge was posted for 3 Tons/No Trucks. At the time of last inspection the structure’s sufficiency rating had reduced to 2. The design scope included removal and replacement of the entire superstructure, substructure strengthening/adaptive reuse, roadway approach work, reconstruction of a portion of train station platform stairway, and utility work. 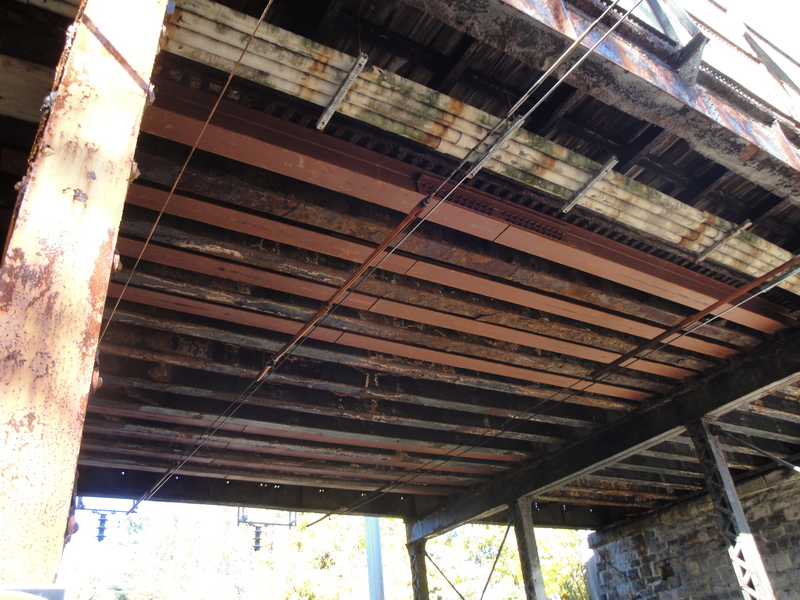 The engineering and logistical challenges involved with replacing a severely deteriorated, weight posted, structurally deficient bridge that is also integrated into an existing SEPTA commuter rail station were apparent. Moreover, very little information by way of existing plans was available, necessitating extensive survey and substructure probing to verify project conditions. Prior to construction, Verizon, Comcast, Street Lighting, and Philadelphia Electric Company (PECO) facilities were relocated, and SEPTA Electrical Traction power cables at the west pier were detached. Work would be done in shifts, when required, and would be coordinated with SEPTA, Verizon, Philadelphia Water Department (PWD), and Philadelphia Gas Works (PGW). Due to the uniqueness and historic setting of this bridge, the design team faced numerous challenges, apart from typical design challenges in a densely populated environment. One of the key questions that had to be answered early on was if the existing substructure could be reused for a third time. Salvaging the substructure was desirable because it would exhibit sustainability, reduce environmental impact, and lessen construction cost. Michael Baker International was contracted as part of the design team with two main substructure tasks: verify the existing substructure conditions and design an adaptive re-use. In order to preserve the existing horizontal clearance of the rail, the existing stone masonry piers were maintained. The existing pier foundations consisted of open joint masonry stone walls founded on stepped stone footing. 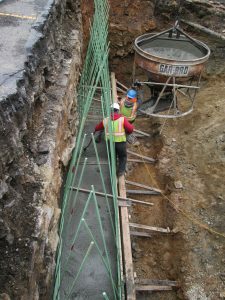 These existing foundations were strengthened by placing a 1’-0” thick Class C concrete collar around the perimeter to lock in the foundation and solidify the foundation for reuse, as shown in Figure 4. The existing stone masonry piers were cleaned and entirely repointed, and a new concrete cap was attached to the existing cap in order to support new HP12x84 steel columns. 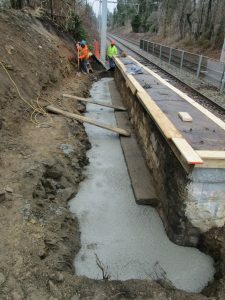 The concrete collar was placed over several track outages with high early strength concrete, which allowed for live rail traffic within 1’-0” of the collar placement at the end of each outage. To stabilize the existing abutments and wing walls, existing backfill was carefully removed to the bottom of the existing walls and replaced with Class A concrete immediately behind the masonry structure to form a new gravity abutment. This concept knits the “old” structure and “new” structure together. This was done while the existing walls were monitored for excessive movement. The stone masonry of the abutments and wing walls were cleaned and new caps were provided on each abutment to serve as a beam seat. 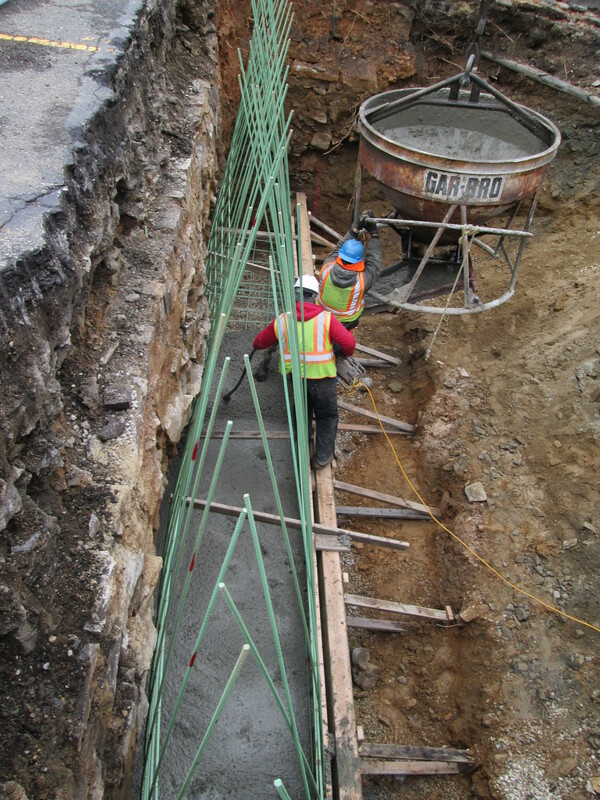 To eliminate earth pressure acting on the gravity abutment and wing walls, Class C concrete and flowable fill were placed behind the Class A concrete in lifts approximately 3’ wide and 2’ high. These abutment stabilization measures are shown in Figure 5. After the substructure modification, stringer design began. Numerous beam design runs were performed and compared to the limited available superstructure depth envelope. The City opted against the use of plate girders in this application due to cost and fabrication issues for such shallow members. Additionally, it had committed to provide at least three more inches of vertical clearance over the electrified railroad. Still, a PUC design exception for substandard vertical railroad clearance was required. The design scheme mimicked the existing configuration of very shallow, closely spaced stringers. The City design team would improve on the existing structure by converting the arrangement to a three span continuous structure, thereby creating a more favorable load distribution. Twelve inch deep, rolled sections were proposed, except for at the fascias, where deeper rolled sections were planned. Additional live load deflection calculations were required to gain PennDOT approval for this design scheme. The design team also had to demonstrate that cambering could be done for such a shallow rolled section, held down at four points. Cambering feasibility was verified by recognized fabricators in the region who noted that the cold cambering method could be successfully implemented in this case. Shallow depth rolled sections could meet the existing envelope for the cartway, but left the challenge of fitting three utilities within two sidewalk bays. Further complication arose due to the fact that the north bay would feature two liquid utilities – an 8-inch PWD water main in a 16-inch casing pipe and a 4-inch PGW low-pressure gas main in an 8-inch casing pipe, as shown in Figure 6. Both utility lines would require larger diameter casings for safety and installation purposes. To satisfy the local community organizations, Section 106 consulting parties, and the Philadelphia Art Commission, the design team opted to cleverly hide the utilities within each sidewalk bay. This would require two different curb reveal depths and an atypical deck cross-section. The deck did not extend transversely to the edge of the sidewalk, as is typical. Instead, the deck was discontinued just below the curb line. This allowed sufficient room for the utilities to sit beneath the sidewalk, while maintaining the railroad clearance below, though the north curb reveal would still have to be nearly twelve inches deep to fit the PWD and PGW mains. Though unusual, this increased curb reveal proved to be subtle and hardly noticeable. The sidewalk slab would be just six inches thick and not cast on a deck slab. 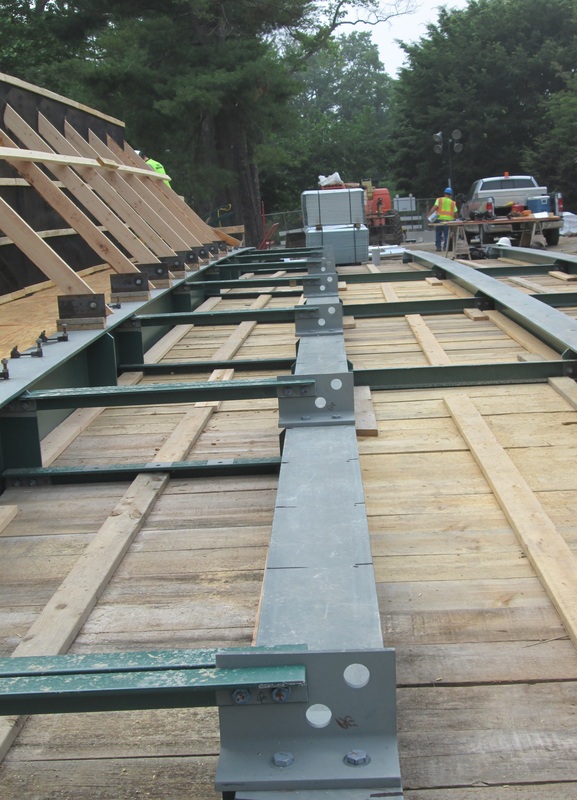 This minimal thickness required special calculation to ensure that the sidewalk could support typical live loads. Two rebar mats were still required, but the position of the bars was slightly altered to accommodate all applicable covers. To facilitate utility installation and maintenance and to avoid the issue of future sidewalk settling at the bridge corners, the approach sidewalks were designed integral with the approach slab. Unlike the deck slab, the approach slab would be full width, out to out. Strip seals would be placed on sleeper slabs at the far ends of the approach slabs to meet current PennDOT design criteria. At the east approach, the sleeper slab and strip seal would need to be adjusted to work around a new stairway foundation block designed for the SEPTA commuter train station. A study revealed the need to improve safety at the four corners of the bridge by providing guiderail. However, guiderail is considered to be unsightly by the public, so the team searched for an appropriate design solution. All four corners featured slopes with various degrees of inclination. In order to minimize impact to the existing slope and tree root systems, the team decided to design the shallowest possible foundations to support the guiderail. This would be accomplished by utilizing moment slab with a tapered foundation. The design feature would also lower construction costs and minimize disruption to the adjacent property owners, while allowing for all work to occur within the narrow City-owned right-of-way. At the southeast corner, a thickened edge of sidewalk would be utilized to span over well-established evergreen trees. An example of this is shown in Figure 7. The design team had committed to protecting the root systems of these trees, such that all would survive during construction. Protection would come in the form of special design details and coordination with the City arborist. The design team settled on a shallow depth, crash tested Virginia DOT barrier system that would sit atop a shallow depth parapet. This arrangement was amenable to all parties involved and would allow the bridge architect flexibility in design. The parapet would later be widened to 1’-6” to accommodate real Wissahickon stone veneer, inset on both sides. Additionally, the steel barrier was modified by the architect with decorative balusters. Neither alteration would lessen the crashworthiness of the assembly. Several other safety improvements were incorporated into the structure, including matching the original cartway width of 28 feet, striping 10.5 foot wide lanes in lieu of 12 foot, and providing 3.5 foot-wide colored shoulders. The striping and coloring were intended as traffic calming measures to improve safety. The project design requirements would dictate the use of a steel protective railroad barrier, in lieu of standard aluminum. Three possible designs were presented to the community and Philadelphia Art Commission, as well as the Section 106 consulting parties. The barrier chosen was modeled after the nearby railroad bridge at Springfield Avenue and would feature the name of the adjacent SEPTA station, St. Martins, on both sides. All fasteners would have decorative rivet heads, in keeping with design details of the original structure. As mentioned previously, the moment slabs would feature real inset stone veneer, and this decorative element would be extended to the bridge parapets as well. Research was done regarding the tooling of the joints, as well as for the correct mortar mix design. The construction requirements were specified in accordance with the National Park Service Guidelines, and sample panels were provided at the community input and pre-construction stages of the project. Lastly, all future veneer and restoration of the existing stone walls would have the same mortar details. For the approaches, extensive coordination with each property owner was required. Where tree removal was necessary, owners were given the option to have trees removed or replaced. Additionally, existing slate sidewalk could be replaced in kind or replaced with pigmented concrete. Concrete would cost less and provide greater design flexibility, especially for ADA ramps, while using slate would preserve the historic construction materials and methods. 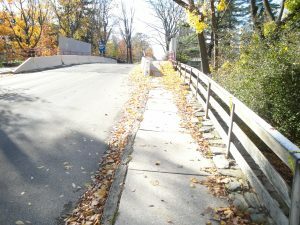 Of course, many other historic requirements had to be met due to the bridge’s location in the Chestnut Hill Historic District. For instance, rivets were used in the existing barrier ironwork that was removed, so the barriers had to be replaced with an historic-looking bolt. The bolts chosen included rounded rivets at both ends. The actual bolt head featured a twist-off mechanism – set to go off when a certain torque was achieved by the ironworker. Historic-looking punch rivets were also used for the handrail; when hammered into place, the rivet head went smooth and expanded the bolt to secure the railing. The project also included many interesting construction challenges which the City’ Construction Unit and the contractor, Loftus Construction Company, worked through together. One of the biggest challenges was constructing a bridge over an active operating railroad. Though only the middle span was over active tracks, the bridge’s entire footprint had overlapping Right-of-Way with SEPTA. Much of the work over the tracks could only occur during track and power outages, which could occur at night and last just three to four hours on average. Many outages and night crews would be needed to get through the demolition and deck reconstruction phases of the project. Because the bridge was in very poor condition, contract documents included weight restrictions and equipment placement limitations. This challenged the contractor to devise creative means and methods for construction, mainly utilizing small equipment. Abutment wall stabilization proved to be a challenge in the field due to the variability in shape of the existing stone. The doweling pattern, location, and number specified in the plans had to be modified to maintain the integrity of the existing masonry wall. Therefore, holes were placed at existing gaps between the dry-stacked masonry, trying to match the specified number and location of dowels as closely as possible. Due to the shallow interior beams and presence of utilities in the fascia bays, standard diaphragms could not be utilized. Therefore, the utility supports functioned as braces between the girders. However, the location of the utility supports fell on the bottom portion of the fascia girder, which left the top portion of the fascia girder unbraced. This caused stability issues for the fascia girder during construction due to the exterior overhang support system. To prevent excessive overturning force on the exterior girder, WT sections were bolted to the top of the interior girder at regular intervals. Double angles were then extended between the WT section and the exterior girder to provide sufficient bracing to allow construction operations, as shown in Figure 8. The profile of the PWD water main would become an issue where the end bridge span transitioned to the approach slab. In particular, the steep roadway grades for the crest curve exceeded the standard limitations of standard pipe and pipe casing deflection joints. In this instance, custom length pipe sections were needed to meet the main profile. The change in the proposed vertical profile of the bridge affected the private driveways at each end of the bridge. These already steep driveways were subject to increases of over 12 inches in some cases. Therefore, each driveway required a small sag curve for adjustment purposes. Additionally, portions of original Belgian block drainage swales were rebuilt on either side of the driveway. Though the rehabilitation of the Willow Grove Avenue Bridge over SEPTA was complex and challenging in both design and construction, the project was a sound investment in this Chestnut Hill Philadelphia neighborhood for many reasons. 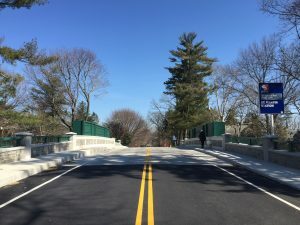 The project appropriately restored a bridge, fitting it properly to the area’s historical context, and set the standard for future projects in historic areas. This exercise was lauded as an excellent example of context sensitive design by the community and critics alike. The most direct route through the neighborhood was restored, improving the flow of traffic and accessibility for EMS vehicles. The extensive use of in-house engineering excellence and consultant support services helped restore grandeur and functionality to the very deserving structure shown in its completion in Figure 9 (Track Level) and Figure 10 (Street Level). One of the most important general skills for a business owner is the ability to plan ahead. What that really means is the capacity to anticipate future events. One of the important things that all we engineers can reasonably anticipate is being called upon to defend our work. One component of defending our work, whether in negotiation, a deposition, arbitration, or court, is documenting evidence of our competence. Whether you call the documentation a resume or curriculum vitae, you should have it ready at the drop of a hat. For ease of discussion, I’m going to refer to the document as a resume. Now, your mother probably taught you that it’s not nice to brag on yourself (to use a quaint Pennsylvania expression). That’s usually true. Nice people let others brag on them. However, that is not always true, and this is an example of when it’s not true. Just in case you were worried, having your resume ready is not a sign is disloyalty to your employer or your business. It is not a sign or signal that you’re restless and looking for a new opportunity. It is a sign of your wisdom in anticipating the need. Furthermore, marshaling some of the information you should have on your resume isn’t always easy to do on the spot. If you taught a professional development class three years ago, can you produce the date, topic, sponsor, and location? This instant? Probably not. However, if you maintain a resume at all times and update it with each new accomplishment, you won’t have to scramble. With the current Pennsylvania law regarding professional development, you should have information like that gathered already for your license. However, that file may be a paper file (with certificates attached, of course) and not an electronic file, so you may not be able to access it on the fly. Companies come and go. Several times in the past few years, I have had to assist engineers in reconstructing information about their former employment because the company was gone and they didn’t have the necessary reference information for their resumes. If you maintain a resume, you won’t have that problem. Now, if you’ve been around the block several times as I have, your base document may be many pages long. I maintain a base document that includes every assignment I have ever had, every article I have ever written, every lecture I have ever taught, and every case for which I appeared as an expert. When I need a resume to support my status as an expert, I go into that base document and select examples relevant to the situation. In general, a resume to support your qualifications should not be more than four pages long. You can summarize data. For example, “I have appeared as a boundary expert in 26 cases in Pennsylvania, 14 in Ohio, and 6 in Federal courts” is a useful summary sentence. If someone challenges that qualification, you need to be able to document those cases, but you don’t need to list them. One exception would be a situation in which your testimony resulted in a change in the common law (pattern of decisions established by cases, not legislation). That would be something to celebrate separately. I typically show interesting work in the past five years and summarize what came before, unless it’s something special. If you think that I’m exaggerating the importance of this preparation, I was a part of one case in which the expert (not I) was being challenged. The challenging attorney had subpoenaed the expert’s Professional Engineering licensing exam. Waving that exam, the challenging attorney tried to argue that the expert was not an expert in the particular field because he had not selected the exams questions in that field for his responses (i.e. he answered the soil questions and not the water questions). The attempt to disqualify him failed, but it was a shocking example of how deep the opposition may dig. Lest you think that I am not consistent, I tell the students whom I mentor that they should start to gather this information with the first (non-participation) award they receive, even if that is in third grade. On applications, colleges want to see that a student has been consistent in participation or shown a pattern of academic activities, a pattern of success. As with we grow-ups, that information can be hard to gather after the fact. And most scholarship applications require some sort of resume. Even if you think that you will never be called to appear before a fact-finder, you may want to apply to graduate school or for some program for which you need to demonstrate that you have fulfilled the pre-requisites. Again, you may not be able to scramble to gather the necessary information. If you consistently maintain your resume, you will always be ready. Otherwise, you may be putting yourself in a Risky Business. Thank you for electing me your President. I am truly honored. I would be remiss if I failed to thank the conference committee for the fine job they did in putting together an excellent conference and annual meeting. I also want to acknowledge and thank all the past presidents of the Pennsylvania Society of Professional Engineers. These esteemed colleagues laid the foundation for our great Society. My pledge to you is that I will shepherd the Society in a manner that continues and honors your great work. You have elected me your leader and I intend to lead. You did not elect me your manager. 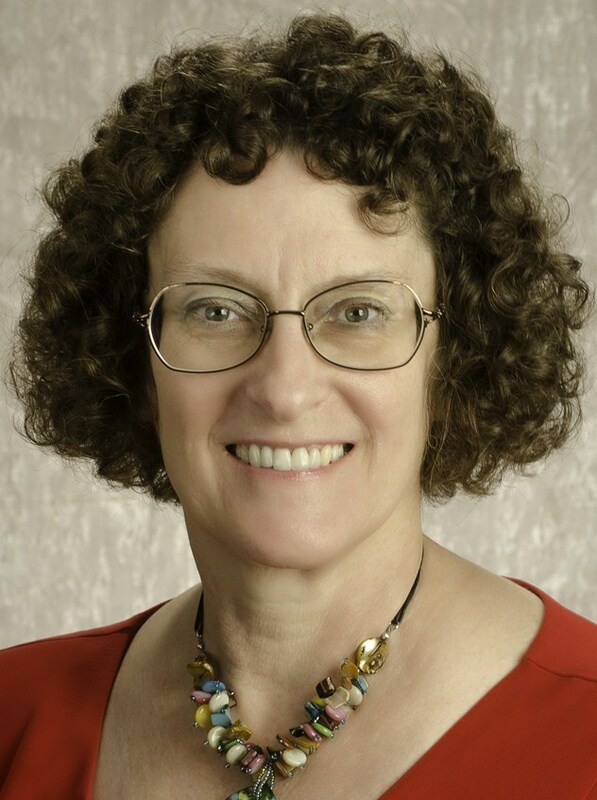 The Society has an excellent manager in our Executive Director and she does an outstanding job. In the past, the board has spent far too much time and energy looking at ourselves; managing the Society. We are not doing that this year. We are going to stop looking inward. We are going to look outward. We are going to focus on our mission. The Pennsylvania Society of Professional Engineers represents and protects the professional practice of engineering in the Commonwealth of Pennsylvania. We support the professional engineer. We are not an education society. There are many resources for that. But, we do offer some of the finest education opportunities in the state. I get most, if not all of my required PDHs through the Society. We are not a technical society. 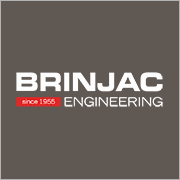 We represent the interest of all professional engineers regardless of field of practice or expertise. What we are is your collective voice, echoing your concerns and issues as a unified voice. The Pennsylvania Society of Professional Engineers is a derivative society. 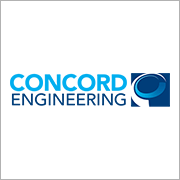 Our existence is derived from the professional practice of engineering in this Commonwealth. Without professional engineering licensure, we – PSPE – has no need to exist. So, it’s not about us, its not about PSPE, its about our mission, its about you. The professional practice of engineering is far greater than the society itself. And that practice is currently under attack. The clearest example of this was in Indiana, a state not so far away from ours. In Indiana, a bill made it all the way to the governor’s desk to eliminate all licensing boards in the state. No more requirement of need for professional engineering licensure. No more need for the Indiana Society of Professional Engineers. What would that do for your ‘value’. More importantly, what does that do to public health, safety and welfare? And do not make the same incorrect assumption I did, that unlicensed engineers would now be doing the work. What makes us think that even graduate engineers would be doing the work? Perhaps folks with one-year technology certificates or maybe 2 year associates degrees would now be doing the work formerly performed by licensed professionals. What would the impact to public health, safety and welfare be under this scenario? I do not want to be a commodity. I do not ever remember taking a pledge or swearing an oath to protect public health, safety and welfare when I received either of my engineering degrees. I did, however, agree to hold public health, safety and welfare paramount above all other considerations when I became a professional engineer, though. Indiana is not the only place that threats to our licensure are occurring, though. The states of Washington, New Mexico, Minnesota, Iowa, Missouri, North Carolina, Rhode Island, Vermont, Oklahoma, Michigan, Louisiana, Kansas, Ohio, Maryland and Delaware. By my count, that’s 25% of the states including some of our adjoining states. 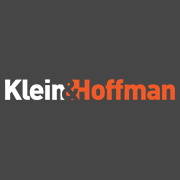 There have been moves to eliminate qualification-based selection in Kansas and Michigan. In Louisiana, there has been a dilution of education requirements. 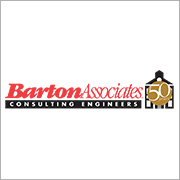 In Ohio, there has been a dilution of the responsibilities of the professional engineer. In Minnesota, professional engineer licensure is under attack due to special certifications. In Oklahoma, like Illinois, there is a push to separately license structural engineers. Even here in Pennsylvania, PSPE regularly monitors and lobbies against the licensing of Home Inspectors, a bill for which is introduced in almost every session. How does this happen? In Indiana, it started with something called the Jobs Creation Committee. In Kansas, it started with something called an Efficiency Audit. I invite you to check out the website of the American Legislative Exchange Council, www.alec.org. On that website, you will find model legislation that states can use to eliminate professional licensure. In every instance, the move to eliminate licensure starts with a discussion about jobs, taxes and/or money. Professional engineering licensure is not about jobs, taxes or money, its about public health, safety and welfare. We need to change the discussion. Most recently in Pennsylvania, our friends and sister organization, the Professional Land Surveyors, lost some of their rights under the professional practice of land surveying. A company called Davey Tree uses semi-skilled technicians with GPS units to survey above ground utility locations for public utility companies. The Pennsylvania licensing board for professional land surveyors brought an action against Davey Tree. Davey Tree appealed to the Pennsylvania Commonwealth Court, and Commonwealth Court overturned the decision of the Pennsylvania licensing board for professional land surveyors. That’s our own judges; judges that we elected. Our government is not going to protect us. What did we do at PSPE? 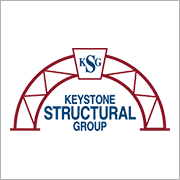 We helped the Pennsylvania Society of Land Surveyors with proposed changes to the land surveying law, to hopefully prevent this from occurring again. We proposed changes to our own professional engineering law to hopefully prevent similar attacks to our practice. We introduced amendments to our current House Bill 1704 reflecting our proposed changes. These attacks on professional engineering can, have and will continue to happen. The bottom line is that the general populous seems to be under the impression that anyone can do what we do. Maybe the practice of professional engineering is not even needed anymore. Anyone can do what we can do, I suppose. Right? No! The public, our legislature, big business is sacrificing public health, safety and welfare in favor of jobs, lower taxes and less government. As a highway engineer, I have legitimate concerns about public health safety and welfare with the Davey Tree decision. I rely on plans provided by the utility companies for the location of their facilities. Now I have to be concerned that the plans I receive from the utility companies have locations that were not established by licensed professional surveyors and were not established by individuals that abide by a code of professional practice set by the Commonwealth. This most certainly adversely impacts public health safety and welfare. Will it save the utility companies a few bucks, sure. Will they pass it on to the ratepayer, the consumer, maybe? Will I have to expend more effort, more time and money to verify the locations of above ground utilities, yes? And since almost all highway design is done with taxpayer dollars, will that cost you and the taxpayers, more money, me in the long run, yes! So, our Commonwealth Court, the judges that you and I elected, sacrificed public health safety and welfare in the interest of the profits of utility companies and an out of state corporation while likely costing us more tax dollars in then long run. We need to change the discussion. So how do we change the discussion? We need to speak louder by having more people talking. We need a louder voice. We need more members. The Pennsylvania Society of Professional Engineers represents the interests of all licensed professional engineers in the Commonwealth, but less than 10% are members. Membership is not solely my job. Not solely the executive committees job. Not solely the Board of Directors job. Not solely the membership committee’s job. Membership is everyone’s job. Membership is your job. You need to step up and speak louder for your Society, for your professional engineer license, for public health, safety and welfare. You, everyone, needs to get a new member. This year is not going to be about what I’m going to do, its about what you are going to do. So I want to leave you with some charges and some challenges. A charge is the baseline; the minimum expectation as a member of the Pennsylvania Society of Professional Engineers. A challenge is a goal. For my first charge, I charge you to show up. I am an adjunct professor of engineering. The number one thing I tell my students is: show up. You are paying for it. The first thing you can do to ensure success in your job when you graduate is to: show up. As a PSPE member, I charge you to show up. Attend all your chapter meetings. Participate in Mathcounts. Attend the annual conference. Attend the other events we have; participate. Make the most of your membership. Your participation makes out voice louder. For my second charge, I charge you to buy a license plate. 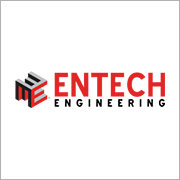 We have this fantastic opportunity in Pennsylvania with the availability of a license plate that says PA Professional Engineer on it. So take advantage of it. Sure, PSPE makes a few bucks on each plate sold, but that’s not why I want you to buy one. The extraordinary value of the license plate is the exposure to the public, the exposure to thousands of drivers on the road each day around the state with the words PA Professional Engineer and the PSPE logo. The license plate helps spreads the word; helps start the discussion, helps make our voice louder. For my third charge, I charge you to contribute to our PAC, our Political Action Committee. Our PAC is a component of our leverage with the state legislature. I’m not asking you to like the concept of politics or political contributions or even Pennsylvania politics, but as engineers, we understand systems. And this is the way the system works in Pennsylvania. We understand that to be successful, we must work within the system. Make no mistake, this is a fight; this is battle. As a member, you employ a great warrior, one of the best in the Commonwealth, as our lobbyist. And he is equipped with possibly the greatest weapon of all: the protection of public health, safety and welfare. Now, let’s provide him with some ammunition to put in that weapon. It’s not hard. Just write a personnel check made payable to “PSPE PAC” and send it to our Harrisburg office. Simple. Do it today. The more ammunition we have, the louder our voice will be heard. Those are your charges, the baseline, the minimum expectations for you as a member. Now let’s talk about the challenges. For my first challenge, I challenge you to get a new member. No gimmicks, no contests, no free six-month membership. Think about why you belong, and then invite someone lese to join. You do not need any message from me; you know why they should join. So tell them. Bring a non-member to a chapter meeting and invite them to join. Simple. No excuses. As we represent the interest of all professional engineers in the Commonwealth, its time we stopped giving the non-member professional engineers a free ride. It’s time for them to step up, too. It’s about speaking louder so we can change the discussion; the more members we have, the louder we speak. For my second challenge, I challenge you to start a discussion with your local, elected state representative and senator. Visit them regularly at their home office, you know, he office you pay for. They work for you. When you boss calls you into his office, you go. Well, you are the constituent, you are the voter, and you are the boss. Get to know them. I have a relationship with my senator and representative and see them regularly. When I visit other state legislators during legislative day or for other lobbying, they are seeing as a courtesy. They do not have to see me as I am not their constituent. But, if we had at least one PSPE member with a relationship with every state legislator, then we will be more effective at getting our message across. Our voice will be heard louder. I’m challenging you to start a discussion, a relationship. You do not even have to talk about engineering issues and I am not offering any talking points presently. Remind them what you do and why. Remind them about the importance of public health, safety and welfare. So when you ask me or another Board member what you can do this year for PSPE, I just laid it out for you. I’m not asking you to join a committee, or serve as an officer in the organization. I’m not asking for much more of your time. I’m asking you to meet the charges and challenges I have laid out here. Do those first, then let’s talk about how you can continue to serve your fellow professional engineers. 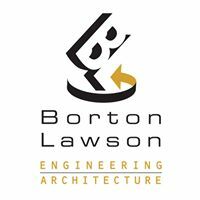 As professional engineers, we recognize the existence of a higher purpose to what we do. You could say, therefore, that we have a duty to the public to strengthen our organization, to speak louder and collectively protect the professional practice of engineering in the Commonwealth. This is a call to action. I am assembling the militia as we meet in the shadow of Valley Forge in the cradle of our very liberty. Stand with me. Stand with us. And help change the discussion. Join the Pennsylvania Society of Professional Engineers as we install our new President, John A. Nawn. We will hold a celebratory banquet at the DoubleTree by Hilton Philadelphia – Valley Forge on Friday evening, September 23, 2016, during the Pennsylvania Professional Engineers Conference. PE licensure is the engineering profession’s highest standard of competence, a symbol of achievement and assurance of quality. 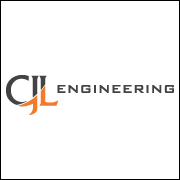 Being a licensed professional engineer means more than earning a certificate and possessing technical competence. It is a conscious commitment to hold the public health, safety, and welfare above all other considerations. Under John’s leadership, PSPE will continue to provide its members with the resources needed to earn and maintain the respected PE seal. Mr. Nawn earned a Bachelor and Master of Science Degree in Civil Engineering from Drexel University. He is a licensed professional engineer in 9 states. In 2011, he was recognized as Pennsylvania Engineer of the Year. Mr. Nawn is a certified Professional Traffic Operations Engineer with the Institute of Transportation Engineers; a Certified Floodplain Manager with the American Society of Floodplain Managers; a Certified Forensic Consultant, and a Fellow with the American College of Forensic Examiners; and a Fellow with the National Society of Professional Engineers. Mr. Nawn’s other professional memberships include the American Society of Civil Engineers, the Engineer’s Club of Philadelphia and the Pennsylvania Society of Professional Engineers where he currently serves as President -Elect. Active in his community, Mr. Nawn is an elected Township Supervisor and presently Chairman of the Board of Supervisors in his community. PSPE is proud to recognize Daniel B. Humes, PE, as PSPE 2016 Young Engineer of the Year. A dynamic professional engineer with experience in construction and civil engineering design, Mr. Humes specializes in stormwater management, erosion and sedimentation control, utility coordination and relocations, and land development design and permitting. As Urban’s site/land development practice leader, he is responsible for overseeing a department of engineers, designers, and surveyors on the above tasks. At the time of his promotion in 2014 to his current position, Mr. Humes became (and still is) the youngest practice leader in Urban Engineers’ history. As his major accomplishments show, this distinction is well earned. In 2013, Mr. Humes was the project engineer behind the award winning design for a retail retrofit in the National Soak It Up! Design Competition, a program that focused on urban stormwater issues. The juried national competition was organized by the City of Philadelphia Water Department, the Environmental Protection Agency, and the Community Design Collaborative. The Urban Team’s winning design, “Stormwater reStore,” revitalized an urban retail shopping center and turned it into a vibrant, pedestrian friendly, community-oriented public space through the use of rain gardens, streetscape improvements, stormwater infiltration and storage, and landscaped stormwater features. As a project engineer and manager, Mr. Humes provided site/land development engineering design services for the award-winning, mixed-use, multilevel building complex called Paseo Verde, the first LEED Platinum Neighborhood Development in the country including the first use of Blue Rooftops in the City pf Philadelphia. Mr. Humes served as a project engineer for the reconstruction of Dilworth Park, a public plaza located west of Philadelphia’s Historic City Hall. The reconstruction is intended to create a dramatic improvement to the underutilized public space, and improve accessibility and wayfinding to the existing transit facilities. 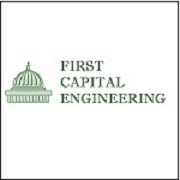 For renovation and expansion of the Franklin Institute’s Nicholas and Athena Karabots Pavilion, Pennsylvania’s most visited museum, Mr. Humes provided civil engineering design services. The new museum addition includes a conference center and exhibition space. As a design engineer and manager, Mr. Humes performed civil/land development design and constructability reviews for an approximately 50-acre proposed train offloading facility. The proposed project required permitting within the City of Philadelphia in an expedited timeframe. 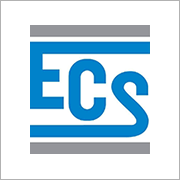 The design included multiple phases of a newly created rail yard to allow for the transfer of Bakken Crude Oil to the Philadelphia Energy Solutions (PES) refinery to begin immediately. 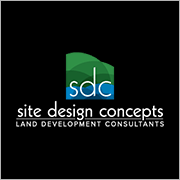 As a design manager for the Sugarhouse Casino Expansion, Mr. Humes provided site/land development engineering design services for the SugarHouse Casino Phase 1A Expansion. The expansion included additional gaming space, back of floor space, and a multi-story parking garage. In addition to the building expansion, the project includes the extensive site modifications to the northern half of the property including two Combined Sewer Overflow (CSO) relocations, a revised parking layout, revised site amenities, and the relocation of the Sugarhouse Drive entrance on North Delaware Avenue. With the above experience, projects and local and national awards under his belt, Mr. Humes’ desire to live and work by the Engineer’s Creed has led to his professional success. Criteria for selection as PSPE 2016 Young Engineer of the Year includes: Be age 35 or under as of January 1, 2016; be a Registered Professional Engineer or Engineer in Training; PSPE membership preferred but not required; Scholastic achievements; Technical society activities; Technical papers and patents; Professional society activities; Engineering experience and accomplishments; and Civic and humanitarian activities. Mr. Humes obtained a Bachelor of Science (Civil Engineering) from The Pennsylvania State University and a Bachelor of Arts (Natural Sciences) from Lock Haven University of Pennsylvania. 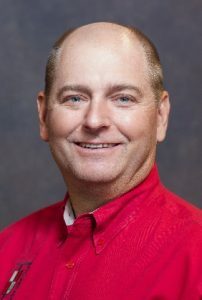 Mr. Humes is active in the PSPE Valley Forge Chapter serving and having served on various committees: By-Laws Committee Director (2008-Present); MATHCOUNTS Committee Past President (2015-2016); Membership Committee President (2014-2015); Programs / Publications Committee(s); MATHCOUNTS Volunteer (VFC 2009-Present) Coordinator (2011-2013), and Co-Coordinator (2014-2016); Chapter Event Emcee (2012-2016), State MATHCOUNTS Competition Volunteer; Volunteer Firefighter (Warwick Township, 1997-2001); and Volunteer (Doylestown Hospital, 1996-1997). Since joining Urban Engineers, Mr. Humes has assisted on various internal committees to contribute comments and questions for various revisions to codes, regulations, and guidelines from various agencies. These include, but are not limited to; the Philadelphia Plan Review Advisory Group (2011), Philadelphia Water Department Development Services Advisory Committee (2012), Philadelphia Water Department Stormwater Manual (2015), Department of Environmental Protection Erosion and Sedimentation Control Manual, Pennsylvania State Best Management Practices Manual Taskforce (2012-2013). Mr. Humes has always supported, and continues to support, various local fundraising and charitable efforts through 5K runs/walks and golf outings, supporting the local communities scholarship opportunities and research donations whenever possible. The PSPE State Engineer of the Year Award publicly recognizes outstanding engineers based on criteria including professional achievements, civic, political, engineering and educational contributions. The Pennsylvania Society of Professional Engineers is proud to award Kevin T. Campbell PSPE 2016 Engineer of the Year. 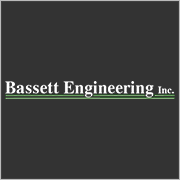 Kevin T. Campbell, PE, LEED AP, is president and chief operating officer of Barry Isett & Associates, a multi-discipline engineering firm headquartered in Allentown, PA. The immediate Past President of the LV-PSPE, he has coordinated the Lehigh Valley MathCounts since 2010 and was the co-coordinator of the 2016 statewide competition. He will be the coordinator for the 2017 and 2018 events. 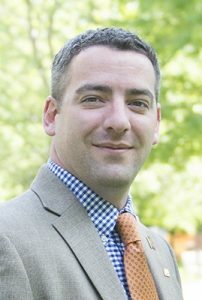 He was elected to the Lehigh Valley board of directors in 2008 and quickly rose through the offices of vice president, president, and past president. He also chaired the program committee; during that time the chapter received PSPE’s Outstanding Program Award. Named the chapter’s Engineer of the Year in 2016, Kevin earlier received the Truman Yeager Award in recognition of his service to the chapter. Kevin joined Barry Isett & Associates, Inc. in September, 2005 as a staff management analyst – bringing with him twenty years of leadership knowledge and technical experience that would serve to improve the company’s work efficiency and resource coordination in the decade to come. He was named vice-president within his first year at the company and president/chief operating officer in 2011. Kevin’s executive management, attained from his previous employment with Agere Systems/Lucent/AT&T and Tri-Quint Optoelectronics, is backed by degrees in Metallurgical Engineering (B.S. 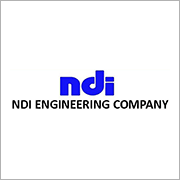 ), Electrical Engineering (M.S. ), and Business Administration (MBA). 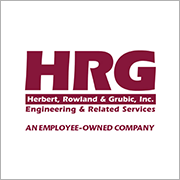 This experience has provided the ideal framework for him to accelerate the company’s productivity by providing operational, fiscal, and strategical oversight – delivered with a transparent respect for the company’s most valuable resource – its people. Kevin frequently interacts directly with the clients to ensure that projects meet expectations and quality standards. Under his guidance, the company has expanded its services and geographical reach, but always with commitment to repeat clientele. Kevin is most proud of the fact that the company has been named one of the Best Places to Work in the Lehigh Valley four years in a row. The honor is based solely on employee feedback through a survey conducted by the Morning Call Media Group and WorkplaceDynamics, LLP. 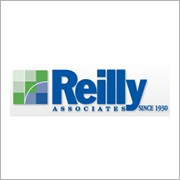 The firm received special recognition for Work/Life Flexibility. 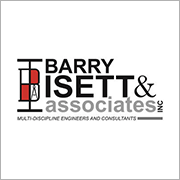 In 2015, Barry Isett and Associates was accorded the Societas Award for Responsible Corporate Conduct, presented by the Forum for Ethics in the Workplace. 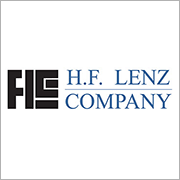 The annual award celebrates a company in Eastern Pennsylvania that demonstrates responsible corporate conduct in terms of legal compliance, corporate and individual accountability, commitment to stakeholders and social responsibility. 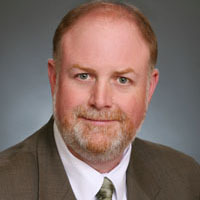 The former chair of the Lehigh Valley Steering committee of the Delaware Lehigh Valley Green Building Council, Kevin has served on the board of Lehigh Economic Assistance Program, and on the MusikFest talent selection committee and is the current treasurer of the American Wine Society – Lehigh Valley Chapter. Kevin is the father of three children, Matthew, Lindsay and Shannon and the proud grandfather of Riley, who arrived this summer. Kevin and his wife, Michele, live in Zionsville, PA.